The Battle of Krefeld took place on June 23, 1758. This is the battle in which Lord John was badly wounded in a cannon explosion, in LORD JOHN AND THE BROTHERHOOD OF THE BLADE. "Duck!” came a faint cry, and he threw himself headlong in the sopping grass just as his own gun spoke near at hand. Without looking to see the possible effect of the shot, he scrambled up into a crouch and scuttled the rest of the way, arriving winded and wheezing to the cheers of his men. The men were already at it; the linstock was thrust into his hand and he fumbled for the fuse, but his hand was shaking too badly to manage. The powder monkey seized the wobbling end of the slow-match and thrust it through the hole, slashing off the bit of fuse so hastily that the knife tip scratched Grey’s hand, though he didn’t feel it. “Fall back!” he gasped, and lowered the hissing match to the touchhole. There was an instant of breathless expectancy, and then the world disappeared in a blast of fire and darkness. At midday on the third day, he found the lake. 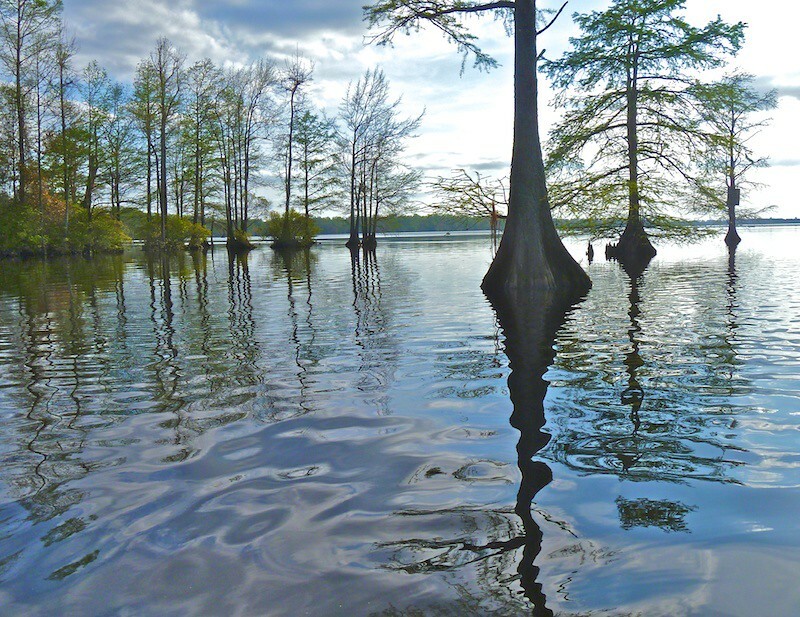 He’d come to it through a cathedral of towering bald cypress, their great buttressed trunks rising like pillars from the flooded ground. Half starved, light-headed from a rising fever, he walked slowly through calf-deep water. The air was still; so was the water. The only movement was the slow drag of his feet and the buzzing insects that plagued him. His eyes were swollen from the bites of mosquitoes, and the louse had company in the form of chiggers and sand fleas. The darning needles that darted to and fro didn’t bite like the hundreds of swarming tiny flies, but had their own form of torment--they made him glance at them, sunlight glinting gold and blue and red from their gauzy wings and shining bodies, dizzying in the light. The smooth surface of the water reflected the trees standing in it so perfectly that he could not be sure quite where he himself was, balanced precariously between two looking-glass worlds. He kept losing his sense of up and down, the dizzying sight through the branches of the towering cypress above the same as that below. The trees loomed more than eighty feet over him, and the sight of drifting clouds seeming to sail straight through the gently stirring branches below gave him the constant queer sense that he was about to fall--up or down, he couldn’t tell.